Burj Khalifa is filled with complete luxury. There are different luxurious hotels, spa, gyms, swimming pool in Burj Khalifa So, when you enter burj khalifa you are not going to leave it and when you leave it you are going to miss the luxurious life of Burj Khalifa.Top 5 Things You can Do in Burj Khalifa are below. 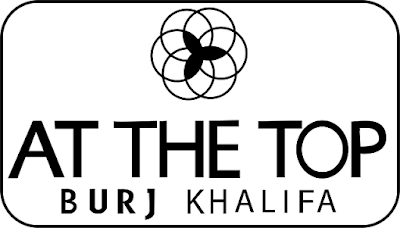 At the top tour of Burj Khalifa is to explore the most value able and most famous destinations around and beside Burj Khalifa. Multiple levels of At the top burj khalifa has been introduced for the complete joy. The basic package is of Level 124 that cost upto AED125. Tour begins from the fastest elevator speed upto 35 km/h towards the observation deck. Multiple telescopes are waiting for you there to explore and maximize you information about the famous destinations around the Burj Khalifa. These telescopes also works in night time with amazing views of the Dubai fountain and Dubai mall. Armani Hotel Burj Khalifa is the most luxurious 5 Star hotel with fascinating fitness center, Swimming pool and spa. Armani hotel Dubai lies on different floors and have upto 160 luxurious living rooms.Armani offers high end luxurious swimming pool Armani Fitness center offers gym to workout inside of burj khalifa. 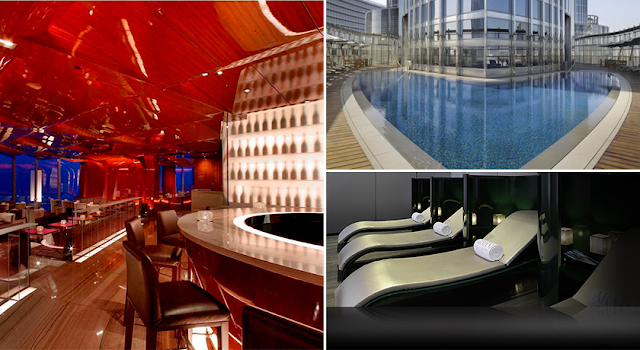 Whole new features and offers are introduced in armani spa. They offer full day and half a day spa treatments with different massages and smoothening ointments. Most importantly they offer you free wi-fi to get entertained from the world of internet. At.mosphere restaurant lies on the 122nd floor of burj khalifa with most durable and affordable prices for food and drinks.Basically they offer lunch and dinner.The lounge of At.mosphere is not less than a wonder to have lunch or dinner on the 122nd floor with marvellous dinning experience. Burj Khalifa is known to have the fasted elevator in the world with speed of upto 35km/h that can travel to the top in just one minute. It was an unbelievable mystery that was solved by top quality engineers. As it has faster speed and full comfort and smoothness in ride you can have extreme fun. Dubai Fountain has great attraction due to its beauty and location it lies in the center of burj khalifa and the dubai mall and its free to watch there is no extra tariff you have to pay for you can have pleasure watching dubai fountain from dubai mall. The timing for dubai fountain are ranged from 6pm to 11pm each play takes thirty minutes to repeat.The joy of watching the dubai fountain from the top of burj khalifa is amazing.